BOSTON, MA -- Another week has gone by in the 2018-19 hockey season, and the Eastern Hockey League (EHL) continues to see its alums turning heads at the next level, This past week in particular, a total of 6 EHL alums claimed weekly honors in their respective conferences, and 1 of those former players spent a season developing in the Eastern Hockey League Premier (EHLP). Will Ahearn played for the Walpole Express at the EHL level last season, and in the EHLP during the season prior to that (2016-17). Now the '97 is a freshman at Worcester State University (WSU), and he was just named the Rookie of the Week in the Massachusetts State Collegiate Athletic Conference (MASCAC). Ahearn scored a pair of goals in perfect week for the Lancers, as WSU beat Saint Anselm College and Westfield State University. Looking back on Ahearn's solid junior hockey career, and the native of Charlestown, MA tallied 20 points in 41 career games in the EHLP. 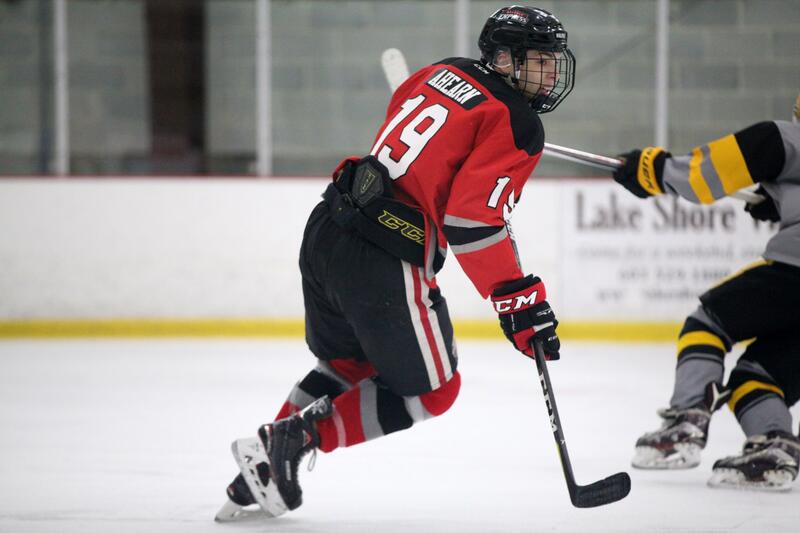 Ahearn then made the jump to the EHL, and notched 17 points in 49 total games in the EHL. All and all, Ahearn climbed the ladder from the EHLP, to the EHL, to NCAA hockey, and he's without a doubt a player to keep an eye on. With just a pair of EHLP teams in action, our next set of TSR Hockey Stars of the Week will be released on Tuesday, December 4th. Prior to that however, we will announce on November Stars of the Month on Monday, December 3rd. Remember to catch the #Eshow all season long on HockeyTV.